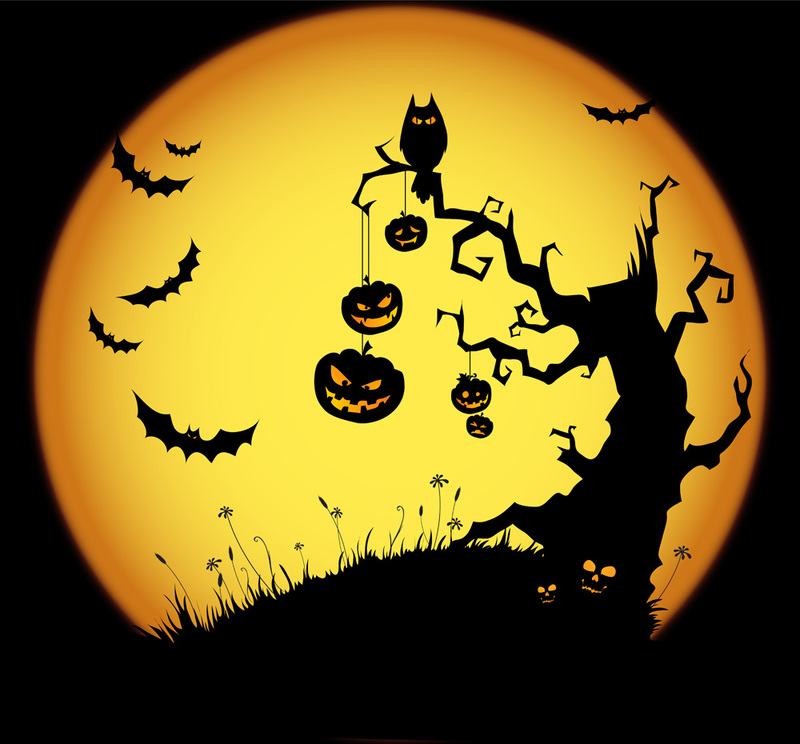 I hope you will enjoy this super FUN filled day Trick-or-Treating with Children of all ages!! Kids love this Holiday for the Candy and the make believe! The amazed looks on their little faces as they go out dressed in great costumes from home to home is always priceless. Eeeek!!! Isn't Maxwell, (this little Mousie guy), SCARY?? Actually, he's not, but he's really trying to be! Do you think he can achieve it being sooooo cute?! LOL!! 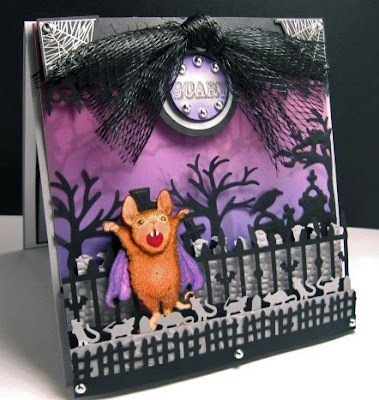 I created this Halloween card for Today's "Try a New Technique" over at SCS, (aka: SplitCoastStampers.com). Challenge #TLC349, that can be found HERE, is to use the telescoping image technique. What that basically means, is to make your image appear as if it is coming out of your card. Or layer the main panel several times, (using nesties) to have your image appear as if your looking through a telescope! For mine, I placed my Mouse over several layers of punched borders here, then layered him too, as in (Paper Tole)! What do you think?? Ink: Memento Tuxedo Black, Copics, SU White Signo Gel Pen (for eyes), Studio G Purples and Blues for sponging sentiment and skies. Do you like House-Mouse Stamps?? Would you like to win some free stamps for yourself??? 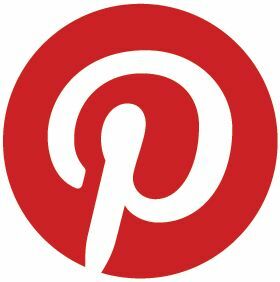 Then check us out at two challenge blogs House-Mouse & Friends Monday Challenge & Midnight Madness Sketch Challenge Blogs. We are offering great Mousie prizes at both, so hurry to enter your HM&F creations for your chance to win!! For more fabulous House-Mouse FUN and Inspiration, visit my mega talented DT Teamies at HM&F MC 'cuz they have been creating some awesome designs. Click HERE to go directly there!! Thanks so much for stopping by today! Hearing from you always makes my day! The card is adorable, an i Love how you layered the two border punches like that. Thats a real spookylicious card ! Its great ! Happy Halloween to you too ! wow what a gorgeous halloween card america. Happy Halloween America, love your card, just spooky enough and adorable a lot. Lovely scene. Oh wowser! I love love love this card! I kick myself for not getting that mouse border punch...it is just cool! Eeek......I love this America! What a great contrast with that fabulous purple background, this just screams Halloween! Fabulous Halloween card America, so spooky and adorned soooo well, love it!